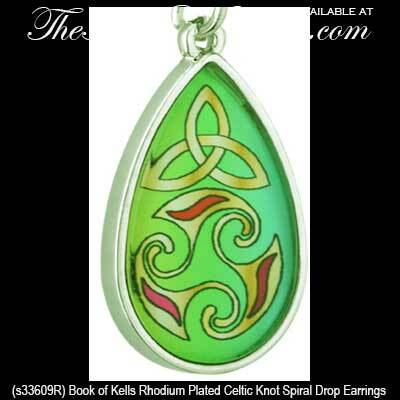 These Celtic earrings are designs from the Book of Kells and are enamel designs with a rhodium plated finish. 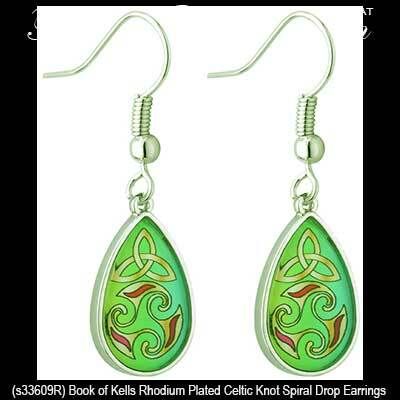 These Book of Kells earrings are rhodium plated and feature enamel decorated Celtic spiral and Celtic knot designs. 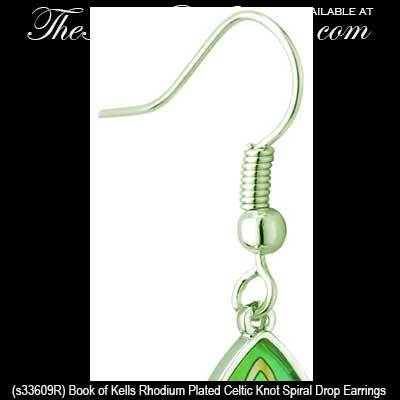 The Book of Kells drop earrings on fishhooks measure 3/8" wide x 1 3/8” tall to the top of the wire. These Book of Kells earrings are gift boxed with the Celtic knot history and the Celtic spiral history and are crafted under license by Solvar Jewelry in Dublin, Ireland.